(RT) Russian President Vladimir Putin says he is ready to provide records of the recent meeting between US leader Donald Trump and Russian Foreign Minister Sergey Lavrov, where US media claim state secrets were leaked. 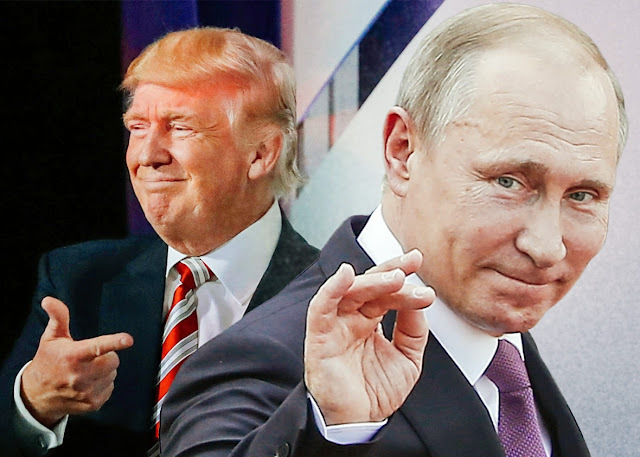 "If the US administration deems it possible, we are ready to provide the Senate and Congress with the transcript of the conversation between Lavrov and Trump," Putin said at a press conference, following a meeting with Italian Prime Minister Paolo Gentiloni on Wednesday. Kremlin aide Yury Ushakov followed up on Putin's statement with a clarification that there was no audio recording at the Trump-Lavrov meeting, and the only form of record available is a transcript. It comes after the Washington Post claimed that Trump had “revealed highly classified information to the Russian foreign minister [Sergey Lavrov] and ambassador in a White House meeting” on May 10. Trump maintains that the data he shared with Lavrov concerned flight safety and terrorism, and that he had the "absolute right" to provide the information at an openly scheduled White House meeting. "We are seeing in the US a developing political schizophrenia," Putin said. "There is no other way I can explain the accusations against the acting US president that he gave away some secrets to Lavrov." Those who "are destabilizing the internal US political situation using anti-Russian slogans either don't understand that they are bringing this nonsense in on their own side, and then they are just stupid, or else they understand everything, and then they are dangerous and corrupt people," Putin said. "Anyway, this is a US matter, and we don't want and don't plan to interfere," the Russian president said. Putin promptly followed his statements about the Trump-Lavrov meeting by saying he did share some secrets with the Italian prime minister. "As for the message I delivered to Mr. Prime Minister, it is of a secret nature, I cannot tell you about it," Putin said with a smile. White House press secretary Sean Spicer told reporters while speaking on board Air Force One on Wednesday morning that he was not aware that Russia had recorded the talks between President Trump and Russian FM Sergey Lavrov. While much discussed by the media, the alleged state secret leaks appear not to have damaged Washington's overseas alliances. UK Prime Minister Theresa May has vowed to continue sharing intelligence data with the US. Another key US ally, Israel, has also said that its “deep, significant security relationship” with America would remain unaffected amid the rumors.